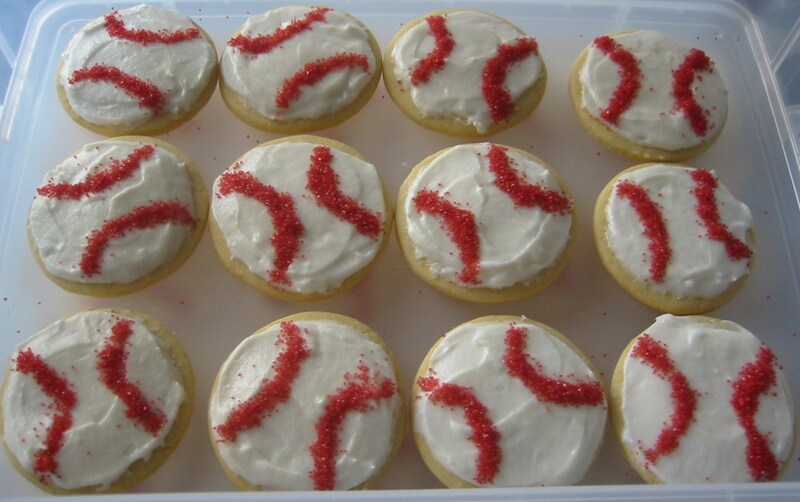 I made these for my oldest nephew's little league fundraiser. They are Grandma Cuckoo's Swedish Sugar Cookies. The frosting is a basic buttercream and the seams are drawn with red sugar. I tried to make them thicker than I do at Christmas, but they were still a pretty thin cookie.